[prMac.com] Hagenberg, Austria - Ergonis Software today announced the release of Typinator 3.1, the latest version of its highly acclaimed tool for auto-typing text and auto-correcting typos system-wide across all Mac OS X applications. The new version integrates the recently released HTML snippets set providing over 100 abbreviations for elements of the HTML 4.01 standard. Typinator 3.1 also improves compatibility with many popular applications like Coda, VMWare Fusion, Butler, Zend Studio, and others. In addition to many functional improvements, the menu bar icon has been redesigned to better match the style of Apple's menu extras - and for the user interface purists, it can now even be turned off. Visit Ergonis Software's website to learn more about all changes in the release and to download and try the new version. Visit Ergonis Software's website at to learn more about the changes in the release and to download and try the new version. Typinator 3.1 requires Mac OS X version 10.4 or newer, Mac OS X 10.5 (Leopard) is recommended. Typinator can be purchased securely on the Ergonis Software website. 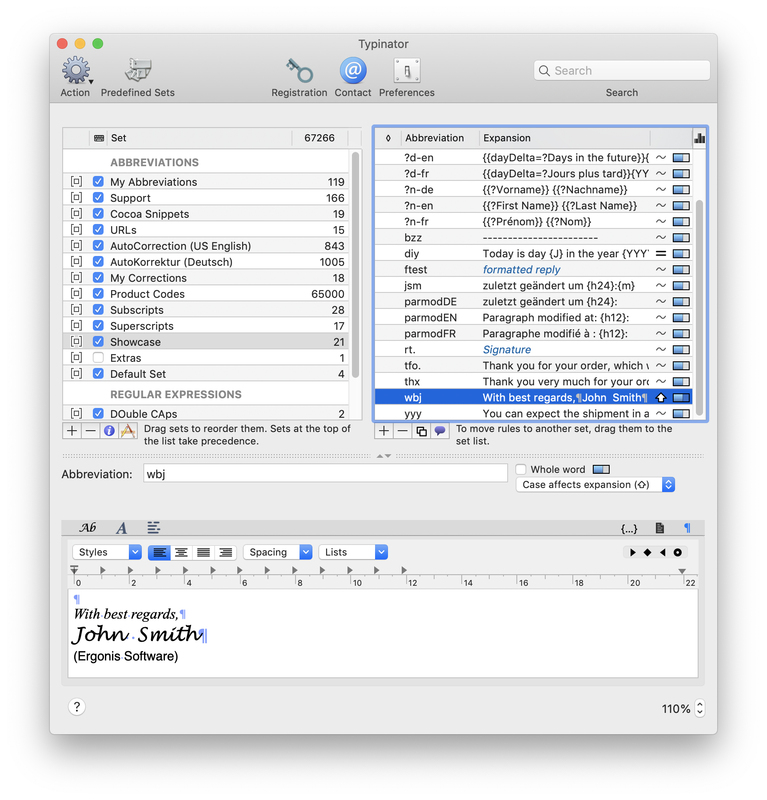 The upgrade to Typinator 3.1 is free for anyone who purchased Typinator in the last 2 years. For information about purchases, including enterprise licenses, volume discounts, and upgrade pricing offers, visit the Ergonis website. Instead of purchasing Typinator by itself, customers can get the Macility Productivity Bundle that also contains two of the company's other productivity tools, PopChar X and KeyCue. The pricing of the Productivity Bundle represents a saving of more than 35% over the separate purchase of its components. More information about the Productivity Bundle can be found at the Ergonis website. Note to Editors: An Online press kit, including screenshots, is available.